Houston TX, USA. 26 October, 2016. The International Society for Transgenic Technologies (ISTT, Inc.) is delighted to announce that the 11th ISTT Prize will be awarded to Dr. Mario Capecchi for his seminal work on homologous recombination in embryonic stem cells, for which he was awarded the Nobel Prize in 2007. The ISTT Prize is awarded to investigators who have made outstanding contributions to the field of transgenic technologies. The selection of the 11th ISTT Prize winner, Dr. Capecchi, was made by the ISTT Prize Committee [composed of the ISTT President (Jan Parker-Thornburg), ISTT Vice-president (Benoit Kanzler), and the CEO of genOway (Alexandre Fraichard) (the company that generously sponsors the award), and all previous ISTT prize awardees]. The committee unanimously agreed that Dr. Capecchi’s work was essential for the field of transgenesis, having opened up the field to the possibility of generating exact genetic mutations in the mouse genome. At the time when his discoveries were published, the ability to generate transgenic animals by pronuclear injection had recently been published, and was rapidly becoming an essential method to flesh out how genes would both be regulated, and would function. However, while standard transgenesis could answer many genetic questions, it was still limited, as the gene being interrogated was still intact. To truly make leaps forward, it was essential to specifically mutate that gene, either by removing it (to generate a gene knock-out) or to mutate it (to recapitulate a genetic mutation by knock-in). With the culture and injection of ES cells described by Dr. Martin Evans, it became apparent to Drs. Smithies and Capecchi (all three being co-recipients of the 2007 Nobel prize) that such cells could be used for the introduction of mutations into the genome. Homologous recombination of an exogenous DNA into the exact gene to be replaced can occur in very rare circumstances. In his 1986 Cell publication, Dr. Capecchi showed that 1 in 103 cells in culture would undergo the process using homologous recombination. The following year, Capecchi successfully knocked out the Hprt gene in mouse ES cells and Smithies independently demonstrated repair of the gene. Dr. Capecchi gave the process the name by which we know it today, “gene targeting”. A critical aspect of gene targeting (and one that is still essential today) was that both positive and negative selection processes could be used to identify those cells that had undergone homologous recombination, a process published in 1988 in Nature by Dr. Capecchi. Dr. Capecchi was born in Verona, Italy in 1937, the only child of an Italian father (lost in WWII) and an American mother (detained in and later released from a Nazi concentration camp). He immigrated to the USA in 1946 with his mother to live in Pennsylvania. After graduation from the George School, he attended Antioch College in Yellow Springs Ohio, USA where he majored in chemistry and physics. He began his graduate work at MIT in physics and mathematics, but after becoming interested in molecular biology, moved to Harvard University to study with James Watson, and changed the course of his career. Dr. Capecchi was on the faculty at Harvard until 1973, when he moved his laboratory to the University of Utah. His seminal work describing gene targeting was performed at that institution. 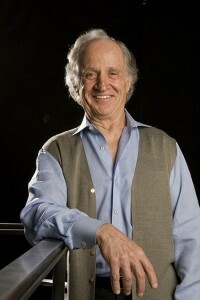 During his extremely productive career, some of the awards that Dr. Capecchi has been given include the Kyoto Prize in Basic Sciences (1996), The Premio Phoenix-Anni Verdi for Genetic Research Award, Italy (2000), the 33rd Jiménez-Diaz Prize for Contributions to Medical Genetics, Spain (2001), the Albert Lasker Award for Basic Medical Research (2001), and the American Association of Cancer Research Lifetime Achievement Award (2015). He has been elected to the European Academy of Sciences (2002), the American Academy of Arts and Sciences (2009), the National Academy of Medicine (2015) and has been given honorary doctorate degrees from institutions in Italy, the UK, and Israel. Dr. Capecchi remains an active researcher, with seven research publications in 2015, and six current 2016 publications either printed, submitted, or in press. We are most pleased that Dr. Capecchi has agreed to receive the ISTT Prize to be given at TT2017, thus joining the list of previously honored scientists, including Janet Rossant (2014), Allan Bradley (2013), Ralph Brinster (2011), Francis Stewart (2010), Brigid Hogan (2008), Charles Babinet (2007), Andras Nagy (2005), Qi Zhou (2004), Kenneth McCreath (2002) and Teruhiko Wakayama (2001). All ISTT Prize winners are given an honorary ISTT membership and a unique silver sculpture representing a mouse blastocyst created by the Hungarian artist Béla Rozsnyay. Dr. Capecchi will receive his prize at the 14th Transgenic Technology Meeting (TT2017) that will be held at the Snowbird Resort outside of Salt Lake City, Utah USA on 1-4 October, 2017. Folger, K. R., K. R. Thomas and M. R. Capecchi (1984). Analysis of homologous recombination in cultured mammalian cells. Cold Spring Harbor Symp. Quant. Biol. 49:123-138. PMID: 6099232. Thomas, K. R., K. R. Folger and M. R. Capecchi (1986). High frequency targeting of genes to specific sites in the mammalian genome. Cell 44:419-428. PMID: 3002636. Wong, E. A. and M. R. Capecchi (1986). Analysis of homologous recombination in cultured mammalian cells in a transient expression and a stable transformation assay. Somat. Cell Mol. Genet. 12:63-72. PMID: 3003931. Thomas, K. R., and M. R. Capecchi (1986). Introduction of homologous DNA sequences into mammalian cells induces mutations in the cognate gene. Nature 324:34-38. PMID: 3785372. Thomas, K. R. and M. R. Capecchi (1986). Targeting of genes to specific sites in the mammalian genome. Cold Spring Harbor Symp. Quant. Biol. 51:1101-1113. PMID: 3472755. Wong, E. A. and M. R. Capecchi (1987). Homologous recombination between coinjected DNA sequences peaks in early to mid-S phase. Mol. Cell. Biol. 7:2294-2295. PMID: 3600663. Thomas, K. R. and M. R. Capecchi (1987). Site-directed mutagenesis by gene targeting in mouse embryo-derived stem cells. Cell 51:503-512. PMID: 2822260. Mansour, S. L., K. R. Thomas and M. R. Capecchi (1988). Disruption of the proto-oncogene int-2 in mouse embryo-derived stem cells: A general strategy for targeting mutations to nonselectable genes. Nature 336:348-352. PMID: 3194019. Capecchi, M. R. (1989). Altering the genome by homologous recombination. Science 244:1288-1292. PMID: 2660260. Thomas, K. R., C. Deng and M. R. Capecchi (1992). High-fidelity gene targeting in embryonic stem cells by using sequence replacement vectors. Mol. Cell. Biol. 12:2919-2923. PMID: 1620105. Deng, C. and M. R. Capecchi (1992). Reexamination of gene targeting frequency as a function of the extent of homology between the targeting vector and the target locus. Mol. Cell. Biol. 12:3365-3371. PMID: 1321331. Capecchi, M. R. (1995). A personal view of gene targeting. In Accomplishments in Cancer Research 1994. (J. G. Fortner and J. E. Rhoads, Ed.) Philadelphia: J. B. Lippincott, pp. 67-78. Capecchi, M. R. (2000). How close are we to implementing gene targeting in animals other than the mouse? Proc. Natl. Acad. Sci. USA 97:956-957. PMID: 10655465. Capecchi, M.R. (2001). Generating mice with targeted mutations. Nature Med. 7:1086-1090. PMID: 11590420. Austin, C.P., J.F. Battey, A. Bradley, M. Bucan, M.R. Capecchi, F.S. Collins, W.F. Dove, G. Duyk, S. Dymecki, J.T. Eppig, F.B. Grieder, N. Heintz, G. Hicks, T.R. Insel, A. Joyner, B.H. Koller, K.C. Lloyd, T. Magnuson, M.W. Moore, A. Nagy, J.D. Pollock, A.D. Roses, A.T. Sands, B. Seed, W.C. Skarnes, J. Snoddy, P. Soriano, D.J. Stewart, F. Stewart, B. Stillman, H. Varmus, L. Varticovski, I.M. Verma, T.F. Vogt, H. von Melchner, J. Witkowski, R.P. Woychik, W. Wurst, G.D. Yancopoulos, S.G. Young and B. Zambrowicz (2004). The knockout mouse project. Nat Genet.36(9): 921-4. PMID: 15340423. Wu, S., G. Ying, Q. Wu, and M.R. Capecchi (2007). Towards simpler and faster genome-wide mutagenesis in mice. Nat Genet. Jul;39(7):922-30. PMID: 17572674. Du, X., Feng, T.,Yu, D., Wu, Y., Zou, H., Ma, S., Feng, C., Huang, Y., Ouyang, H., Hu, X., Pan, D., Li, N., Capecchi, M., and S. Wu(2015). Barriers for the Derivation of Germline Competent Porcine Pluripotent Stem Cells. Stem Cell and Development (submitted).